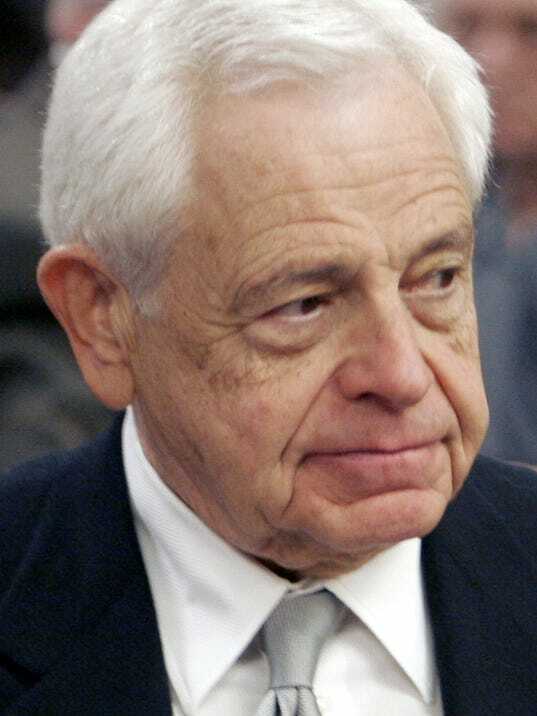 The jig may finally be up for disbarred Cincinnati lawyer Stan Chesley. Chesley, 78, escaped criminal sanctions and so far has paid nothing for taking $7.55 million more than he was owed in Kentucky's scandalous fen-phen case. But a Boone Circuit Court judge ruled this week that Chesley is liable for the uncollected portion of a $42 million judgment that former clients won in the diet drug case against three Lexington lawyers who defrauded them. Only $17 million of that amount has been collected, leaving Chesley on the hook for $25 million, said Lexington lawyer Angela Ford, who represents most of the 440 plaintiffs whose $200 million settlement was plundered by the lawyers. "Despite tremendous wealth and considerable political influence, he was not able to insulate himself from accountability," Ford said of Chesley, a former trial lawyer who hosted fundraisers for President Bill Clinton and other political leaders at his 27,000-square-foot, $8 million home, the most expensive ever purchased in greater Cincinnati. Chesley and his Louisville lawyer, Sheryl Snyder, did not immediately respond to requests for comment. Ford sued the Lexington lawyers and Chesley nearly 10 years ago. In an eight-page order entered Aug. 1, Judge James Schrand found Chesley jointly and severally liable for the $42 million judgment previously awarded against William J. Gallion, Shirley Cunningham Jr. and Melbourne Mills. Gallion, 63, is serving a 25-year sentence for fraud in Louisiana and isn't eligible for release until 2029, while Cunningham is serving 20 years in Mississippi and isn't eligible for release until 2025. Mills, who claimed he was too drunk to have knowingly participated in the scheme, was acquitted. But all three were found to have violated their fiduciary duty to their clients by taking about half of the $200 million judgment when their contracts called for them to get about one-third. Chesley, who was hired by the other lawyers to settle the case, was supposed to collect 21 percent of their fees, or $12.9 million, but instead took more than $20 million. Schrand ruled Chesley liable based on the previous findings of a Kentucky Bar Association hearing officer and the state Supreme Court, which found he violated eight ethics rules, including taking an unreasonable fee and engaging in conduct involving dishonesty, deceit and fraud. Chesley has claimed he dropped out of the case after negotiating the settlement, but Schrand noted that the Supreme Court already found that he assumed the same ethical duties as the other lawyers once he signed on as co-counsel. The court also found he knowingly ratified their misconduct. Ford said Chesley could appeal but that most of the issues already have been decided by the state Supreme Court. The only issue that may still go to trial is whether Chesley should also be forced to pay punitive damages. Under their contingency-fee contracts, Mills, Cunningham and Gallion should have been paid about $60 million of the $200 million settlement. Instead, they took $94.6 million for themselves and others, including Chesley, and put $20 million into a foundation that Cunningham, Gallion and others paid themselves to manage. Chesley, who was dubbed the "master of disaster" for winning billions of dollars for victims of hotel fires, toxic spills, airplane crashes and defective products, testified for the government at their criminal trial and never was prosecuted. He was allowed to permanently retire from the bar in Ohio last year after he was disbarred in Kentucky.